Addicted to wonderment. That state of mind, that sense and feeling, most often occurring when you are young, when the world looks so big, and you feel small, but free, and everything new is magical and wonderfilled. Then you grow up, and you grow out of that? What a loss. Desires is to recapture that feeling and transfer it to my audience, to reawaken in each of us, young or old, that rush. Randy has been performing for over 25 years, all across Western Canada and recently back from performing in China. Randy has performed hundreds of shows to thousands of people in every imaginable environment bringing a sense of magic and wonder to audiences of all ages. Randy is a member of The International Brotherhood of Magicians, and am the Past President of the Calgary Magic Circle. In 1997 I was one of only two Canadians to attend the Professional Performers Workshop in Los Angeles California, sponsored at that time by Magician David Copperfield and Entertainment Icon Dom Deluise. Randy is constantly studying and attending performing workshops and magic lectures to fine tune his performing skills. 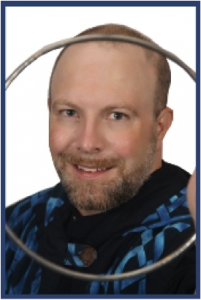 Besides performing magic, Randy has over 20 years of experience teaching and speaking professionally to children, youth and adults. Randy has served with Child Evangelism Fellowship for a number of years as well as being a Pastor serving churches in Winnipeg, Grande Prairie and currently at Centre Street Church in Calgary.